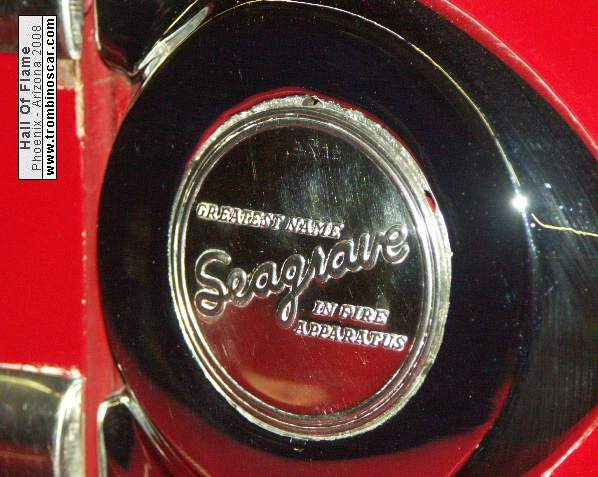 Seagrave introduced this engine in 1951, the company's 75th year of operation, and named it the Anniversary Model. 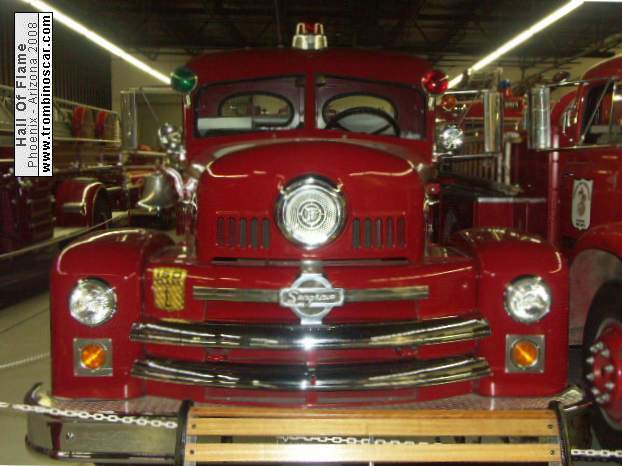 It was intended to compete with American La France's radical cab forward / midship engine Type 700 , but the Anniversary Model differed little from its predecessors of the 1930s and 40s beyond styling. 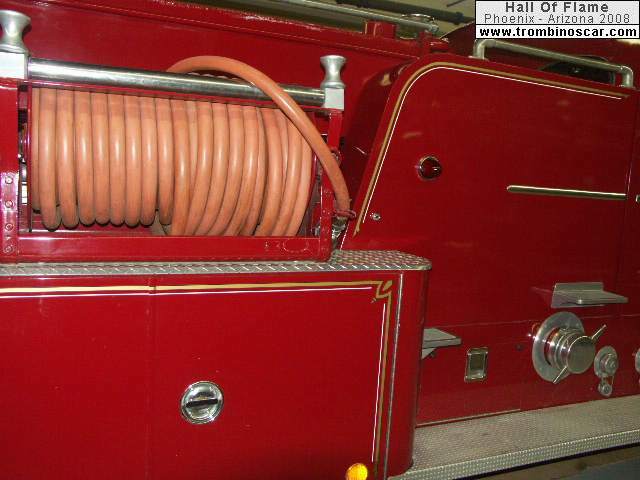 Its engine, pump, and hose carrying capabilities were the same. But the Anniversary Series was very well received in the fire service because of the high quality of its construction and the reliability of the drive train and pump. Almost 2,000 were built over the next dozen years. 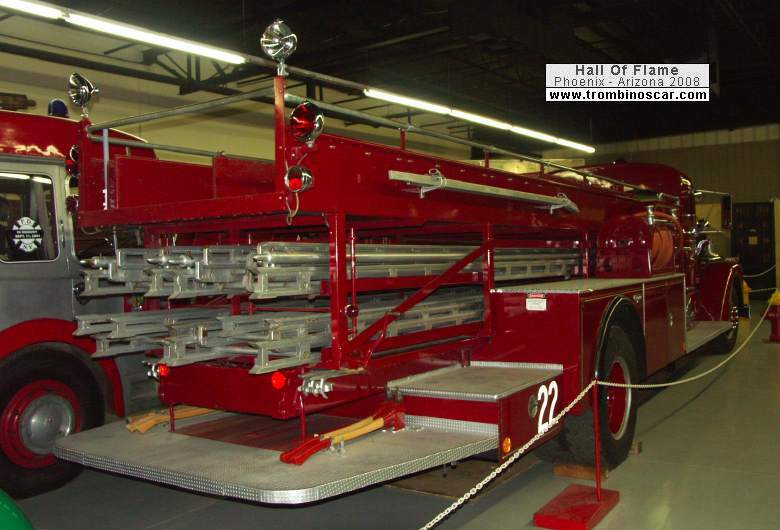 Twenty eight Quads were built, including this rig, used by the fire department of Oak Lawn, Illinois. 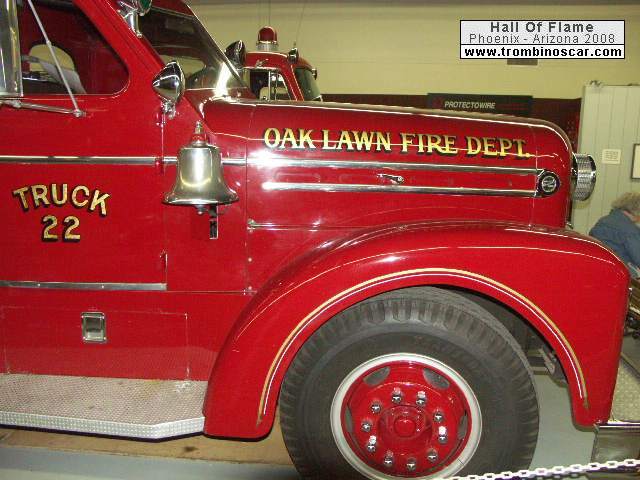 Quads were popular in towns like Oak Lawn, which had relatively few fires and which sought to combine the roles of a ladder truck and engine. 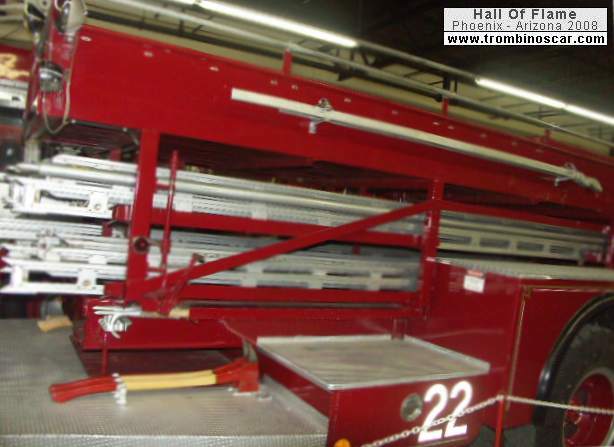 A quad carried at least 200 linear feet of ground ladders, many more ladders than the more common "triple" engine, which usually carried a single extension ladder and a roof ladder. It also carried a full size pump, a booster tank, and at least 1200 feet of large diameter hose. This quad stayed in service until the early 1980s, when it was refurbished and placed in reserve. 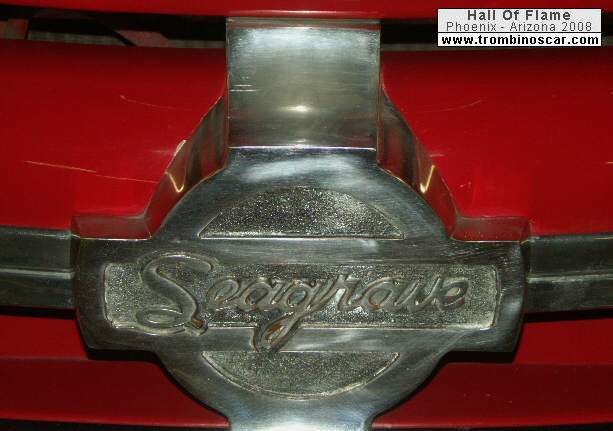 Its original V-12 gasoline engine was replaced by an equally powerful 8 cylinder Cummins diesel. 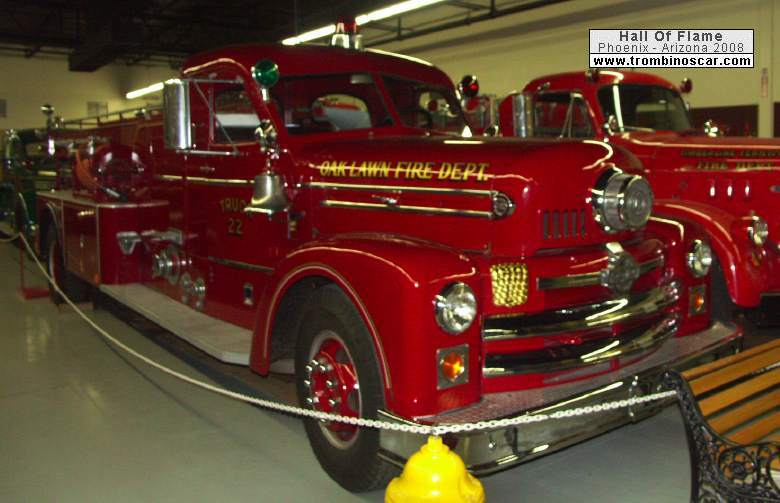 The Oak Lawn Fire Department donated it to the Hall of Flame in June of 1998. Oak Lawn proudly displayed an "ISO 1" rating. Less than 40 fire departments in the United States have this rating. A consortium of insurance companies gives a rating, from 1 to 15, to every municipality in the U.S. that applies for fire insurance. 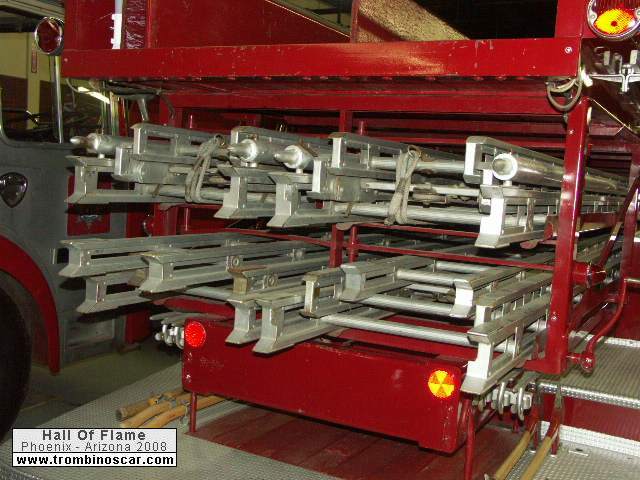 Class 1 has the lowest rates because its fire protection system is judged to be the best possible.